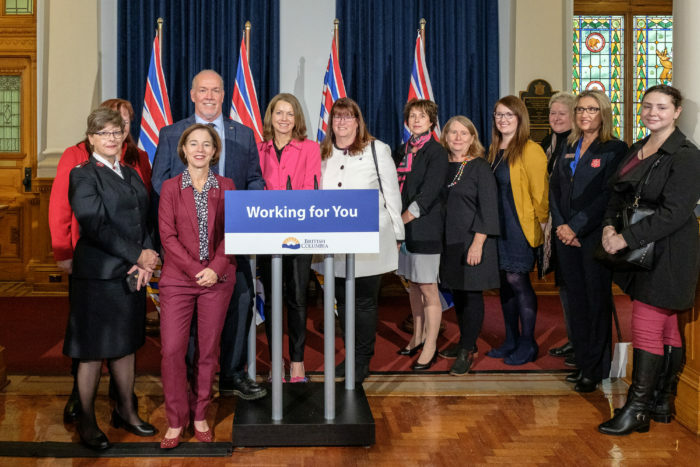 The province announced it will build 280 new transition houses with 12 projects that will be operated by non-profit providers across B.C. The projects are aimed at helping all women and children, but the initiative in Snuneymuxw will primarily serve Indigenous women and children and include cultural supports. A press release from the province on Oct. 25 said the funding will be a first step in a $734 million investment over 10 years, with plans to build a total of 1,500 various-stage housing spaces for women and children fleeing violence. B.C. Municipal Affairs and Housing Minister Selina Robinson said the first projects will make an impact because it’s the first major investment in transition housing in more than two decades. “For too long, a lack of investment has meant women and children looking for help at a desperate time have found themselves with nowhere to turn,” she said in a statement. B.C. has a goal of getting 500 new housing units underway within the next three years and 1,500 over the next decade, according to the release.